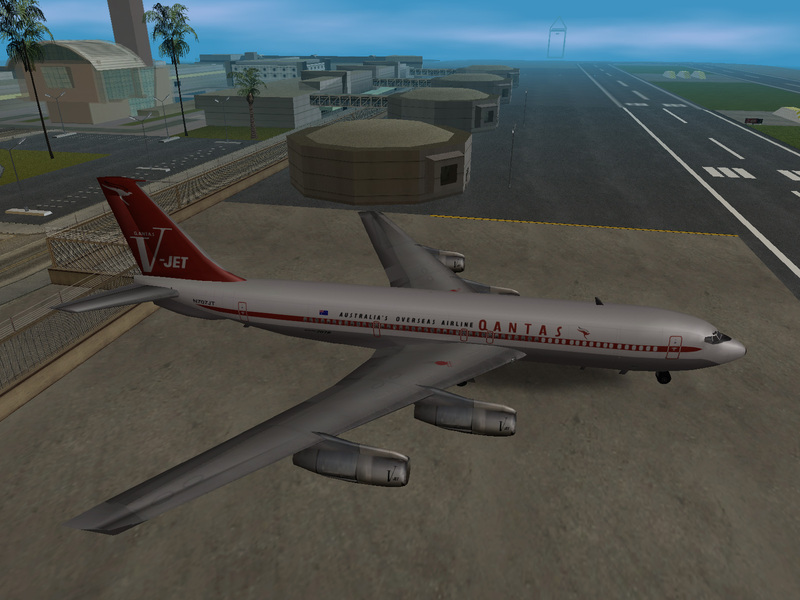 This mod replaces the AT400 in GTA San Andreas with a Qantas 707 as owned and flown by John Travolta. 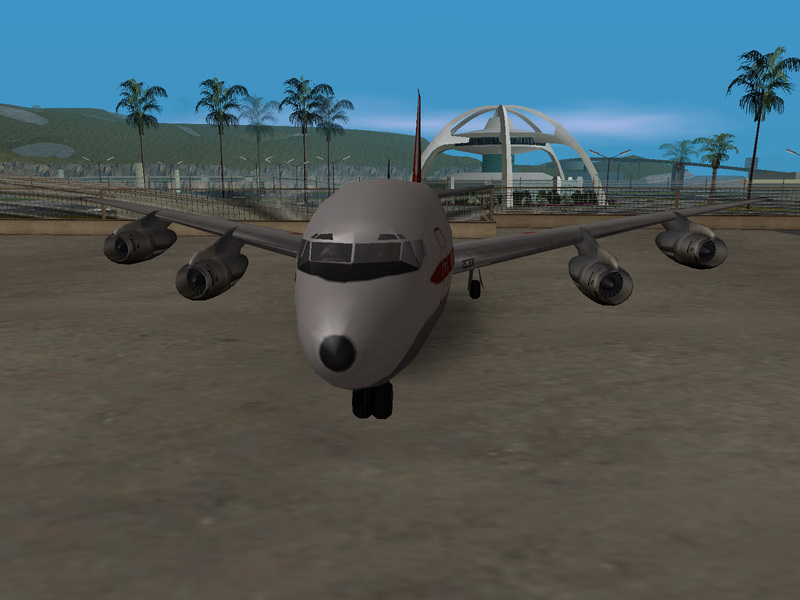 The model was taken from simviation, then UV mapped, dummies tied to animated parts, then textured for San Andreas by [DRuG]NikT. The texturing and normals have been worked over so you can put writing on both sides, and to iron out some weirdly visible vertexes. The left and right sides of the plane are in separate images in the txd. The tail and rudders were modeled by me to work around a lack of tools for editing animations - the rudder and elevators in this plane are in fact very reworked vertexes from the AT400's animated parts. At this stage, I haven't tied in animations for the real landing gear or ailerons - this will be done in a later release when animation tools are out. 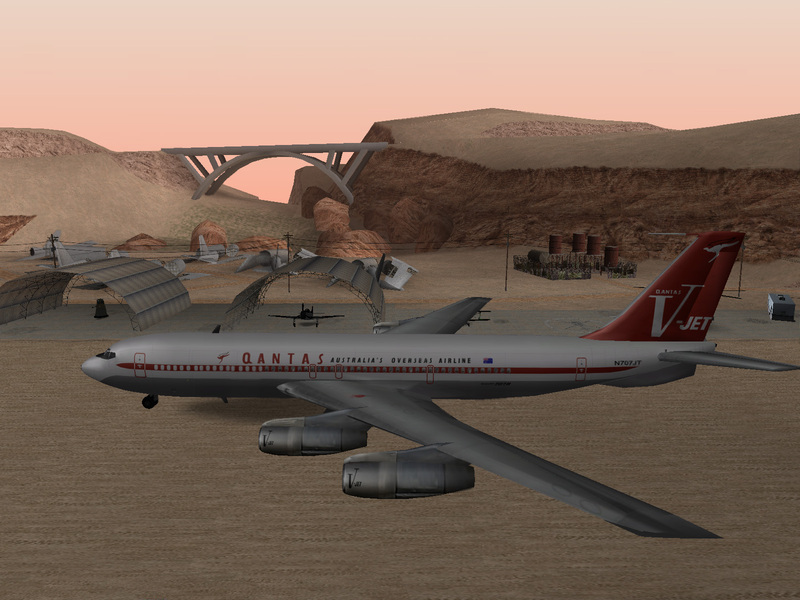 The model was originally by George Carty (GJCarty2002@yahoo.co.uk), who converted it in GMAX from a 707-320B by Rok Dolenec (p00pek@email.si). I have obtained written permission from George (thanks mate!) prior to release. For this reason, while I authorise re-skinning of the aircraft (with due credit to myself, Rok & George), please refrain from altering the model. 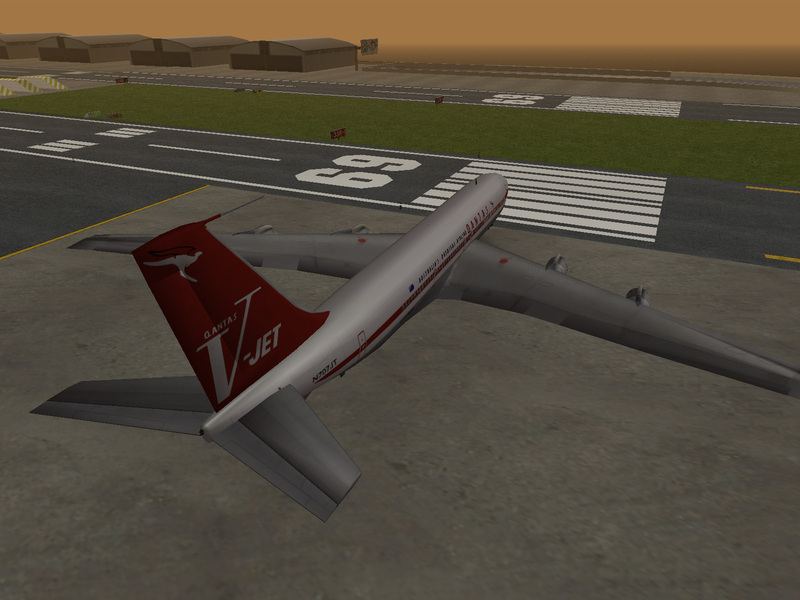 Haha, i love this plane. Looks just like the real one.